I didn't start calling my marriage a failure all at once. At first I tried. I tried for years. I made all those little efforts, silly gestures like buying a CD called It's Not Too Late to Have a Great Marriage. I ordered from QVC because it had such a needy-sounding title that I was embarrassed to buy it from the local bookstore. With my luck someone would see me holding it in line and report back to all my friends. There's just the tiniest bit of hypocrisy around the whole issue -- everyone agrees you should Work on Your Marriage, but if you're ever caught actually Working on Your Marriage, you look ridiculous. And the only thing worse than being unhappily married is being ridiculous. So the CD series arrived UPS. There was a woman on the front of the box who was pulling her husband by the tie -- pulling him playfully toward a kiss. The back of the box explained that this man wouldn't talk. This man was detached. This woman was weepy and frustrated. She was demanding things he couldn't seem to give her. (Maybe she was demanding too much.) From the husband's expression it wasn't clear how he felt about being dragged against his will into this passionate new marriage. At the end of the series, on the very last track of the sixth CD, the woman therapist answers twenty commonly asked questions about how to revitalize a marriage. What do you do when he won't talk? When he works too many hours or you suspect there's another woman? When you disagree about the kids? When he brings you gifts that aren't your taste? When you feel so fat and unattractive that you're sure you can't draw his attention? When you feel so fat and unattractive that you don't want to? Did we mention he's not talking? Do only women live in the land of feelings? What do you do when you've tried everything andit still hasn't worked? What if it's just not the way you thought it would be? How did you think it was going to be? Can you even remember? The woman on the tape answers every question except one: Why do women stay? “Wright hits it out of the park in her debut, an engaging account of a woman contemplating divorce. Despite finally getting her husband, Phil, to attend counseling sessions with her, Elyse Bearden realizes her marriage is dead in the water. Though Phil’s a doting father and a decent man, he’s also the occasional jerk who snickers at his wife in lingerie and is generally indifferent to her. Elyse already knows she’s going to leave her husband when she meets Gerry Kincaid and soon begins an affair that allows her to escape from the crushing banality of her suburban life. Serving as Elyse’s foil is her beautiful best friend, Kelly, now married to an older, wealthy man. An immersing read. The author's voice and knack for writing real and tangible characters pulls the reader effortlessly along to the very end. This novel is perfect for women's book groups not only because it is beautifully written, but because the subject matter, story, and character choices will undoubtedly arouse lively discussion. Kim Wright has been writing about travel, food, and wine for more than twenty years, and is a two-time recipient of the Lowell Thomas Award for her work. She is the author of Fodor's Walt Disney World with Kids, and her work has appeared in Wine Spectator, Self, Travel & Leisure, and Vogue. She lives in Charlotte, North Carolina. 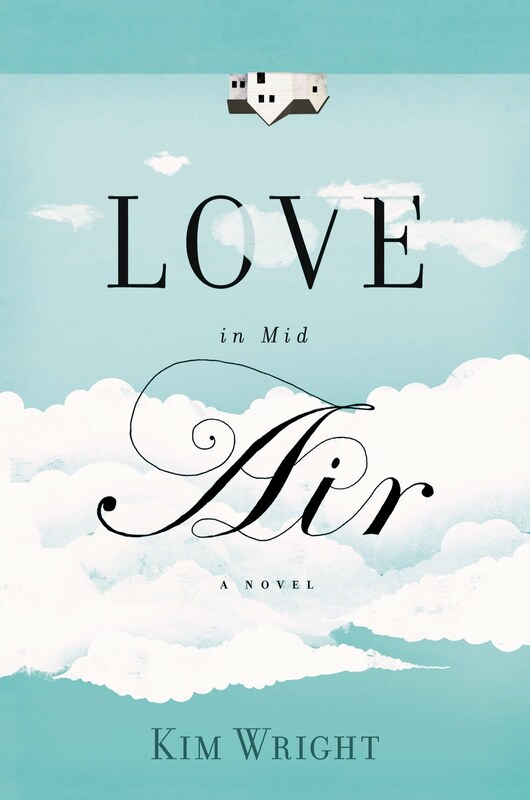 Love in Mid-Air is available at all major booksellers. A reading group guide and other information about this novel are available at www.loveinmidair.com. Bashful Blueberry had tried the patience of more than one teacher in her time. “Sue Miller,” they would call out looking for her in the sea of children's faces. So she would find herself in another school. Or another home. Because foster parents, she found, were generally as lackluster as the teachers. In five years she had been in seven foster homes, gone to six schools, been to four psychiatrists and gone through three social workers. They tried everything. Drugs, spankings, bribery, hypnosis. None of it worked. Mostly because she would spit out the pills or pretend she was a winning thoroughbred in the Kentucky Derby during the spankings. And the one time they tried hypnosis, she put on the grandest show. If she didn’t entertain them, she had certainly entertained herself. Bashful was pretty sure she wasn’t the one with the problem. 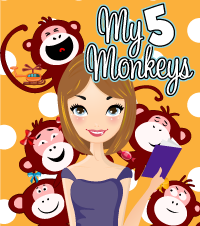 As the young girl’s feet dangled from the chair, a very tall lady stepped into the room. Her hair was the color of autumn, her face as soft and warm as a fairy goddess. The woman seemed to sing even though she hadn’t spoken a word. Bashful hesitated. She opened her mouth, but nothing came out. She tried again. “Bash. . .” she coughed it back. She drooped. “Sue,” she sighed. “My name is Sue Miller.” A tear dripped to her lower lash. When Bashful moved into her new house, they bought nearly a whole paint store worth of supplies. They laid out wide tarps, erected tall ladders and got to work. They painted the front, the back and both sides of that house in shimmery shades of blue, red, yellow, green and violet. When that was done, they started digging. It took many days but eventually they had a happy pond that emptied into a long and pretty creek which they filled with pieces of cut glass that sparkled in midday sun. And the two of them sipped lustrous lemonade on the porch of their rainbow house while listening to the winsome waters dance in their river of diamonds. She had seen him many times before, as she walked her dog around the apartment complex. He came mainly on Sundays, to accompany his parents to church. Sometimes he would arrive on Saturday evenings and stay the night. He never spoke to her, except an occasional “Hello” as they passed on the walk. He would shy away from the prying beagle nose of her dog Argyle, although she knew that he did not have an aversion to dogs – she sometimes saw him walking his parents’ boxer, which, in her opinion, was much nosier than little Argyle. He was also friendly with the dogs of many other neighbors. So it must be that he disliked her dog in particular – or perhaps it was just her. Of course, why should he like her? In all honesty, as she stood before the mirror she knew that there was nothing much of interest staring back at her. And of course he never took the time to find out what might be behind the face. Men like that were all too common. Sill, it hurt. And still, she liked him. Of course, why shouldn’t she like him? His face was open and friendly (at least when he was around others), and he had a laugh that warmed the heart. She wondered if he would laugh at her jokes. And that was why she almost ignored him that night in the rain. It was a Saturday, and so it wasn't at all unusual to see him there, as she took Argyle on the last walk of the day. What was strange was that he seemed to be arguing with the driver of a taxi which was stopped in front of the building. She had never heard him argue. At first she avoided the impulse to linger and listen, although she did hear enough to realize that he was arguing about the fare the driver had charged. But by the time she had circled the block he was still there, still searching his pockets frantically, still arguing. And then it all became clear. A wallet lay on the ground, almost under the taxi. It must have fallen out of his pocket when he stepped out of the cab, and now he couldn’t find it. Without a word she stopped beside him, bent down and picked it up. As she straightened up and handed it to him, she met his eyes through rain-spotted glasses. It was the first time he had ever really looked at her, she realized. And a second later she realized something else, as well: he was drunk. Argyle stared up at her reproachfully as he shivered in the downpour. Water from the man’s nose dripped into the wallet as he opened it to remove some bills. Why was she still standing there? The cabbie seemed to know what he was talking about, she reflected, watching the taillights disappear into the night. Then she turned to her new charge. What did one do with a drunken man? He started to sway, and instinctively she put out her arms to steady him. Then she sighed. All right. If she had to do it, she had to do it. She helped him into the building and into the elevator. He leaned against the wall and she was tempted to leave him there – just walk out and let him wake up the next morning stretched out on the elevator floor. Instead, they made a brief stop in her own apartment, so she could drop off Argyle and rid herself of her soaking raincoat. They made it up to his parents’ apartment without incident. She knocked and got no answer. They must be in bed already. “I’ll need your keys,” she said, speaking for the first time. He tried to reach into his coat to get them, but he seemed to have forgotten exactly how a hand fit into a pocket. Finally, she became impatient and did it for him – first the left coat pocket, then the right. No keys. Wait – the pants. She propped him up against the wall, opened his coat, and got his keys from his pants pocket. As the door swung open, the boxer came darting out of the darkness, charging straight for them. She almost dropped her charge and ran, but the dog stopped at the last minute, sniffing the air, then wagged his tail. She took a deep breath, then guided her charge into the apartment. The kitchen light was on, and she could see the dining and living rooms. “Couch,” he mumbled, and she took him over to it, gently helping him to sit down. She straightened up and gazed down at him, slumped there in his soaking wet clothes. No, she couldn’t leave him like this. She pulled him back on his feet and, holding him with one hand so he wouldn’t fall over, stripped off his raincoat and suit jacket. She removed his tie. Then she tossed them over a chair and examined the rest of him. The bottoms of his trousers were wet. Well, that was too bad. She was not talking off his pants. She gave him a little push on the chest and let him fall back onto the couch. Then she knelt and removed his shoes and socks. Immediately, he swung his legs up onto the couch and lay down. She found an afghan on the back of a chair and covered him with it. She left his keys on the chair and got back to her own apartment as fast as she could. The next day was bright and clear, with a high, arching blue sky. It was late in the morning when she saw him, coming home from church with his parents. Argyle tugged impatiently on his leash and she began to oblige, walking faster. But then she saw that the parents were going inside, and the son was not. He was looking at her. The first thing she noticed when they came face to face was that his eyes weren’t even red. He looked as if he had never taken a drink in his life. She smiled back but did not reply. She didn’t answer right away, and he looked at her strangely, as if she looked different. Well, that was fine. She felt different. He walked away, and she watched him. He was shaking his head. Then she turned and started off in the other direction. She felt good. Admittedly, there had been few times in her life when she had had the pleasure of accepting an invitation from someone so good looking. But never before had she had the pleasure of refusing. Misha Crews is the author of Homesong (Vanilla Heart Publishing, 2008) and the soone-to-be-released Still Waters, a tale of love and deception, set in 1950's Arlington, Virginia. As both a writer and lover of fiction from a very early age, Misha joins Fiction For Dessert now as co-editor. We're very lucky to have her! You can learn more about Misha and read excerpts of her work at her website Misha Crews. to make sense of her situation. Kate composed herself and cleared her throat. "Jacob!" she called. "Jacob get over here." in his step, and his head bobbing along to imaginary music. The left corner of Jacob's mouth curled up in a crooked smile. "Doll,"
he began. "I think I love you." within an inch of hers. "I'm begging you to be serious for one second." familiar, became nearly unrecognizable. Kate finally believed. "If this is real, will you answer one question for me?" Jacob spun back around to face her. "For you my dear, anything." turn a rickshaw into a time machine?" using his creativity to pursue his love of writing and storytelling. To help him on his journey he has started a writing blog called Jason Writes Here. I finally realized that I had had enough. Really ~ how much can a person be expected to endure? Gerald’s optimism isn’t merely rosy ~ it’s positively crimson. There we were, sitting in the parlour, Gerald nattering on about how he loves me, the wonderful future he foresees for us, what we would name our children ~ children! really! ~ and I felt as if all my own thoughts were being rattled out my head in a one-wheeled rickshaw pulled by a mad ostrich over a cobble-stoned road. So I’ve arranged for tomorrow early to have Gerald drugged and carted off to join the Foreign Legion (Crimea? Algeria? I forgot to ask). If he comes back, I hope that it will be with a tolerable sense of pessimism, otherwise I shall have to pack him off to Siberia; you know how he detests the cold. Ruth is an independent scholar working in Medieval and Renaissance literature. She's trying to finish a book on the evolution of the concept of bastardy from around 1350 to the 1600's. Unlike the narrator of her letter, she decided to keep her husband, and even likes the progeny that showed up as a result of that decision. As he wrapped the blanket tighter around his shoulders, a draft of cold air sent a chill down Nathan’s back. He shivered as he looked at the unopened envelope in his hand. It was crinkled in the middle and around the right side where he’d toyed with the idea of not reading its contents at all. The handwriting on the outside revealed its author. After all, his wife had sent word about their children many times before. Nathan sat in his hotel room on the edge of the crimson flowered comforter and ran his forefinger under the flap she had licked to seal the news. This may very well be my final transmission. Those little people are back again. They have now taken washable writing sticks and drawn an alien language down the sidewalk out front. I can only assume it is some sort of signal to the "others" like them. They have fashioned a grid with what appears to be numbers written inside the boxes. They then stand inside a drawn semi-circle and throw a single stone which lands on one of the numbers. Then, horrifyingly, they hop on one foot to pick up the stone they just discarded, all the while laughing out loud. I'm frightened!! I shudder to think what would happen if they noticed me spying from the kitchen window. If they sense my most sincere need for solitude they are sure to stop me before I am able to ascend the stairs. It's like they're trying to tell me something! I just KNOW it! I will try throwing foodstuffs at their mouths and surrounding them with the loud, plastic things you bring from your travels in Asia. I do not know how long the “little people” intend to hold me captive, and I am beginning to believe there may not be enough wine in the house to sustain me until you return. Nathan dropped the letter and gazed out the window to the street below. He knew what he must do. He grabbed his suitcase and ran out the hotel door leaving the blanket and the letter to lie on the rented room’s floor. Waiting just outside was the rickshaw and driver that couldn’t get him to the train station fast enough. Leslie M. Brown lives in Richmond, VA where she is a writer of both fiction and non-fiction. She is currently moonlighting as a mother of two, keeper of the peace, domestic engineer and ruler of a partnership. In addition to her blog, Letters to Punkin, Leslie is beginning her second blog on sustainable living, where she will divulge every facet of working with institutions of higher learning to create alternative energy sources on her fifty acres of land in rural Virginia. Clarissa stirred sugar into her coffee. She watched the dark, swirling liquid and imagined it was a black hole. Getting sucked into a black hole would explain why she felt like she was living in an alternative-reality version of her own life. Brian had become distant and distracted. He used to pay attention to her. Sincere, two-sided conversations were routine two months ago. Now he barely acknowledged her presence. I’m overreacting. He’s busy with work. It’s just my hormones. He still loves me. The battle raged in her mind, so she decided to test him one more time. She took a sip of scalding coffee and ignored the pain. Brian was sitting at the kitchen table, reading the Sunday paper, munching on toast with strawberry jam, not paying any attention to her again. His expression changed slightly. 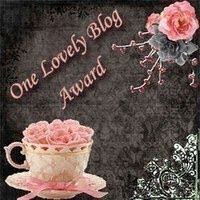 A flicker of recognition? Did he figure out a crossword clue or realize she said something? “What are you talking about?” Wonderful. He was finally communicating and made absolutely no sense. A crimson wave of embarrassment emerged from his robe collar and engulfed his face. He scribbled an incorrect word onto the puzzle. Had she just said alien? Did she know the truth? It was a stupid idea to take this assignment. Human disguises were notoriously difficult to operate. Two months into the research stage and he still didn’t have the audio receiving system properly calibrated. The human mate was getting progressively difficult and currently staring at a large knife sitting on the counter. So many complicated emotions and mating rituals for primitive creatures. Just one more month and he could return home with an insightful report for The Leaders. For now, he needed to figure out why she was talking about aliens. Those addictive, little crossword puzzles were so much more interesting than conversing with his wife. Wife, such an odd name classification for a mate. Janel Gradowski blogs at Janel's Jumble. She is a wife and mother living among the corn fields in central Michigan. Her non-fiction work has appeared in several consumer magazines. Her fiction has recently appeared in Six Sentences and 50 to 1. Stop by Fiction For Dessert tomorrow through Friday to see our three Honorable Mentions for this very fun Flash Fiction Contest! Our Flash Fiction Contest is officially closed for entries. We will be announcing AND posting the winning entry on Tuesday, May 4th. Three Honorable Mention Awards will be announced and posted on Wednesday, Thursday and Friday. A BIG thank you to ALL who entered. Every time we hold a contest, it just proves again and again how many great writers and truly talented artists there are in the world. It was a joy to read the stories and believe us when we say, picking a winner wasn't easy. We hope everyone will stop by to read the stories posted next week.